My buddy Miguel is opening up Kilter Brewing in Winnipeg sometime in the next 12 months. While he's working on getting the brewery built, it hasn't stopped him from brewing. 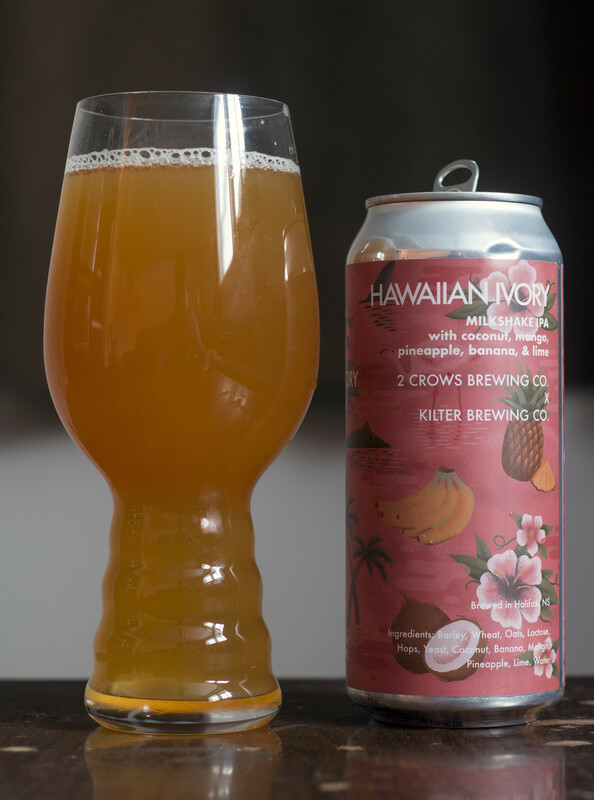 He collaborated with 2 Crows Brewing out of Halifax to create the Hawaiian Ivory Milkshake IPA. The Milkshake IPA is brewed with barley, wheat, oats, lactose, hops, coconut, banana, mango, pineapple, lime, and of course.. water. 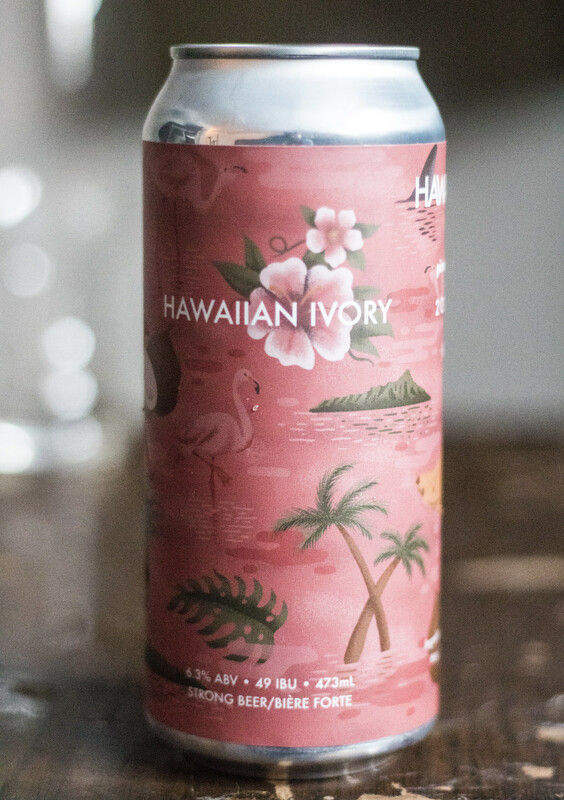 6.3% ABV/49 IBU. Appearance: Pours a very cloudy orange body with just the lightest amount of carbonation in the body, kind of looks like pineapple juice. The head is very light with a tiny amount of shite head mostly popping up on the side of the glass. Aroma: Very sweet up front with a real lactic profile to it. It took me a moment to think of what this reminded me of.. it reminded me of ice cream sundae (sans chocolate) with note of other fruit popping up here and there and a light amount of coconut popping up once in a while. Taste: Very sweet and fruity with pineapple popping up first, followed by a bit of banana, mango, a bit of a raw oat grittiness, a good deal of lactic presence to give it a creamy, milky profile that makes this taste like some sort of fruit smoothie that likely wouldn't be as healthy as a real one. The coconut is making a presence, but mostly on its own... mostly a subtleness that hits the very back and very front of my tongue. There's a lingering metallic aftertaste from the hop presence. Overall Thoughts: I've rarely sampled Milkshake IPAs but this one is one of the creamiest ones I've had yet. Quite fruity and even reminded me of a banana split at one point. I would have liked to see more of the coconut, that would've made this a winter time fiesta! The oatiness of the oats is quite powerful in this brew, which I like as oats need to be part of more beers. I'm excited to see Kilter Brewing finally open up, he's got some serious talent up his sleeve!